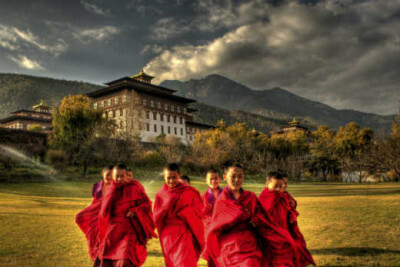 Meet & Greet on arrival at IXB Airport and transfer to Phuentsholing – The Gateway of Bhutan by Road from India. It is a thriving commercial center on the northern edge of the Indian Plains. On arrival check in at the hotel. Overnight stay at Phuentsholing. After breakfast visit Kuensel Phodrang (Buddha Statue) a place for refreshing with a huge statue of Buddha on the top of the Kuensel Phodrang, National Memorial Chorten (Monument) & Folk Heritage Museum. Afternoon visit Sangaygang View Point, Changangkha Monastery, Takin Preserve Centre, the national animal of Bhutan can be seen. Overnight stay at Thimphu. Early Morning check out from the hotel and take the departure transfer to IXB Airport for your onward journey. Accommodation on twin sharing with Breakfast. GST @ 5 % on Package cost & Travel Insurance.